Unmanned aerial vehicles (UAVs) need rubber gaskets that can protect UAV components from environmental conditions, flexural fatigue, and electromagnetic interference (EMI). Manufacturers of antennas, avionics, and airframes face different sealing and insulation challenges, but custom fabrication offers the UAV supply chain a value-added solution. 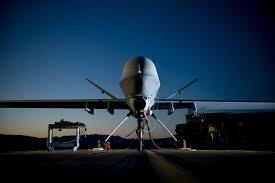 Elasto Proxy, a leading supplier of specialty rubber products, custom-fabricates the rubber gaskets that unmanned systems need. In this article, the first in a series about unmanned vehicles, Elasto Proxy examines three types of UAV gaskets: UAV antenna gaskets, silicone gaskets with high flex-fatigue resistance, and EMI shielding gaskets. 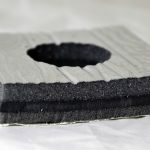 Future articles in this series will examine EPDM gaskets and foam insulation for UAV cases, and sealing and insulation solutions for unmanned ground vehicles (UGVs), unmanned surface vehicles (USVs), unmanned underwater vehicles (UUVs), and commercial drones. 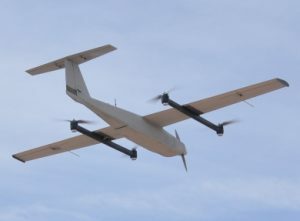 Unmanned aerial vehicles use antennas to support airborne-to-satellite datalinks and air-to-ground communications. UAV antenna gaskets seal the gap between the base of an antenna and the airframe. In addition to keeping out water, these rubber parts provide cushioning and vibration dampening. 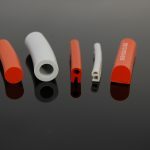 UAV antenna gaskets that are made of polyurethane rubber are a good choice because this elastomer is flexible, has a high load-bearing capacity, and is water-resistant. Elasto Proxy custom-fabricates UAV antenna gaskets with water jet cutting, a manufacturing method that’s ideal for low-to-medium volume quantities because there’s no tooling. Water jet cutting also supports the creation of fastener holes and connector cutouts that align with the antenna and the airframe. UAV antenna gaskets that have a protective release film on both sides of the gasket also support ease-of-installation on the assembly line or in the field. Like manned aircraft, UAVs are subject to cyclic loading that can cause micro-cracks. Over time, these tiny cracks can expand and result in component or even system failure. Holes, notches, lugs, pins, fillets, and joints are especially prone to cracking because stress is concentrated in these areas. Engineers need to account for these challenges by choosing gasket materials with proper flex-fatigue resistance. Silicones that meet the full requirements of A-A-59588, Classes 3A or 3B are a good choice. Elasto Proxy can source 3B certified silicones in 50, 60, and 70 durometer that meet the full requirements of the A-A-59588 3B specification from the U.S. General Services Administration (GSA). This includes DeMattia Flex Test requirements for resistance to cracking. With our strong supplier network, we can also source a 50-durometer 3A silicone that resists flex-fatigue, tearing, and low temperatures. Water jet cutting is ideal for 3A and 3B materials, including prototype gaskets for testing new UAV designs. 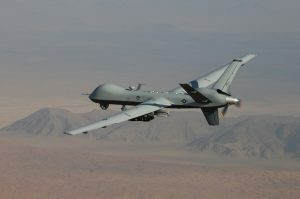 EMI gaskets for unmanned aerial vehicles provide environmental sealing, electrical conductivity, and protection against electromagnetic interference. The causes of EMI are numerous, but the results can range from temporary disruptions in navigation or communication to the loss of UAV assets. Elasto Proxy custom-fabricates EMI gaskets from particle-filled silicones that meet the requirements of demanding specifications such as MIL-DTL-83528 from the U.S. Department of Defense (DOD). With electric UAVs, EMI shielding gaskets are used around the power supply since onboard generators can produce significant amounts of “noise”. EMI gaskets are also used to protect avionics and electronics in unmanned aerial vehicles that burn gasoline, avgas, or other liquid fuels. 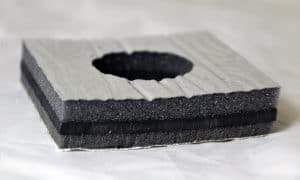 For increased resistance to fuels and chemicals such as cleaning agents, Elasto Proxy can custom-fabricate EMI gaskets that use fluorosilicone as the base material. 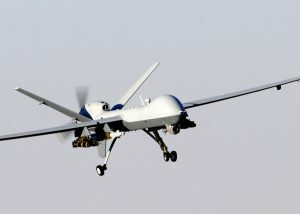 Do you need rubber gaskets that can protect UAV components from environmental conditions, flexural fatigue, electromagnetic interference (EMI)? 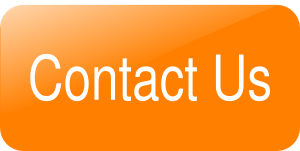 For sealing and insulation solutions that strengthen your supply chain, contact Elasto Proxy.